There are many reasons why an organization may opt for a hybrid cloud environment. The company may feel safer keeping certain applications, infrastructure, or data on premises; there may be a technical need, such as reliance on legacy software, that requires a hybrid environment; or they might require on-premises data storage because of the various existing regulations. 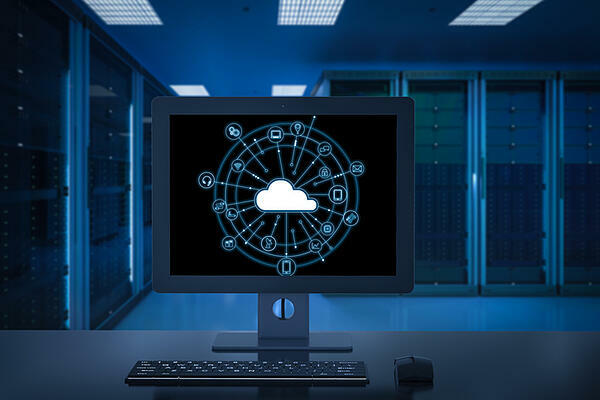 However, the popularity of the hybrid cloud environment continues to grow as more regulations come into play and security remains at the forefront of IT discussions. To help alleviate the issues that go along with hybrid cloud environments, Amazon Web Services (AWS) announced that it would be partnering with VMware to make things easier for those customers who wish, or are required, to implement an on-premises cloud. The purpose of the AWS Outpost is to provide a hybrid experience that is seamless and consistent. Customers will have two choices if they decide to run an AWS Outpost. The first option is to rely on VMware Cloud using the same control plan and APIs used in the VMware cloud infrastructure. The second option is the native option: the same APIs and control plan that are relied on to run in the AWS cloud are used, but they exist on premises. In either case, Amazon spins up your instance on the hardware you choose. AWS delivers the appliance, sets it up, and ensures it is running for you. Using AWS Outposts reduces the complexity and inefficiency of a hybrid cloud because you are relying on the same hardware and security that you would have if you were using AWS cloud. The first step requires you to order your Outposts from the AWS console. This console is where you choose from the two types of Outposts—native or VMware—and where you configure the appliance to your needs. The Outposts are physically connected to your power and network on premises using the same hardware as your AWS cloud instances. Once your Outpost is up and running, you can launch EC2 instances right from the AWS console. These instances are configured and managed just as they would be in the AWS cloud environment, so make sure that you choose the right instance for your needs. Using your Outpost, you can build and run applications that help support your business goals and objectives. Though AWS and its partnership with VMware certainly makes running a hybrid cloud easier than ever before, their solutions do not take all of the complexities out of the mix. Your team will still have to be familiar with running a cloud-based environment and know the ins and outs of AWS in order to successfully implement your hybrid cloud and the functions you wish to run from it. For organizations that don’t have the right skills or personnel on their IT staff to manage a hybrid environment, there are a number of quality partners that can help make your project a success. From choosing the right type of instance to securing your data at rest and in transit and even helping choose from the many EC2 options, there are many responsibilities required. An experienced managed services partner with knowledge of hybrid cloud solutions or cost optimization tactics with AWS can help even a well-staffed team ensure the implementation goes as smoothly as possible.